With a healthy diet which is very tasty. Can be easily prepared. In this recipe, they are all things that are easily available. Easy recipe, which is prepared in very little time. Especially when you are hungry, and nothing available to eat, then you can prepare it immediately. 1- Heat the oven to 180 C / 350 F / gas 4. cook the corn on the cobs in boiling salted water for 5-8 minutes. then drain. With a sharp knife. cut the kernels from the corn cobs and discard the latter. 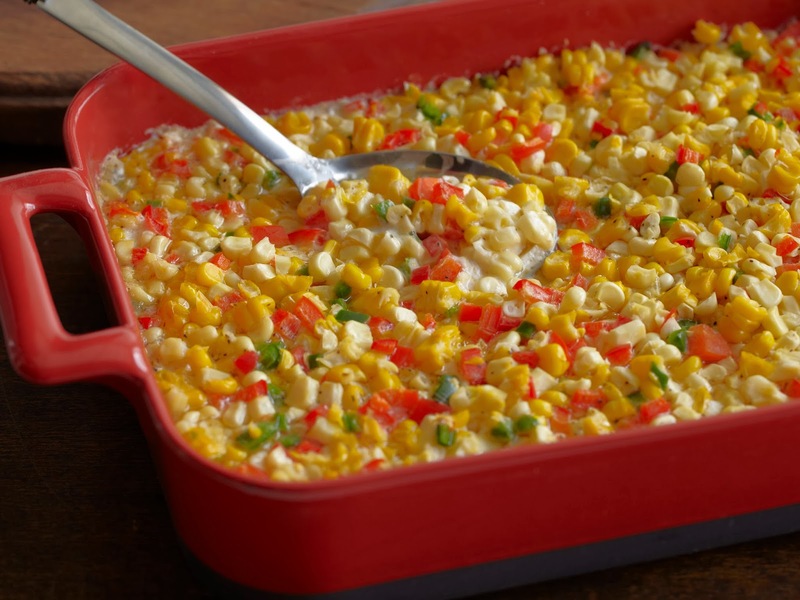 Drain canned corn kernels if using, or defrost frozen corn kernels. 2- Cook the bacon slices in a large flameproof casserole until crisp. Remove from the casserole with a slotted spoon. dice the bacon and reserve. 3- Pour off all but 15 ml / 1 tbs bacon fat from the casserole. Add the butter and saute the finely chopped onion in the bacon fat and butter until it is transparent. 4- Remove all seeds and juice from the tomatoes (reserves for another dish) and dice the flesh. Add this to the casserole with the corn. kernels, diced green pepper, finely chopped parsley, salt and freshly ground black pepper to taste, grated nutmeg and cayenne pepper. Return the diced bacon to the casserole and mix well. Cover the casserole and cool for about 15 minutes or until the corn is tender.